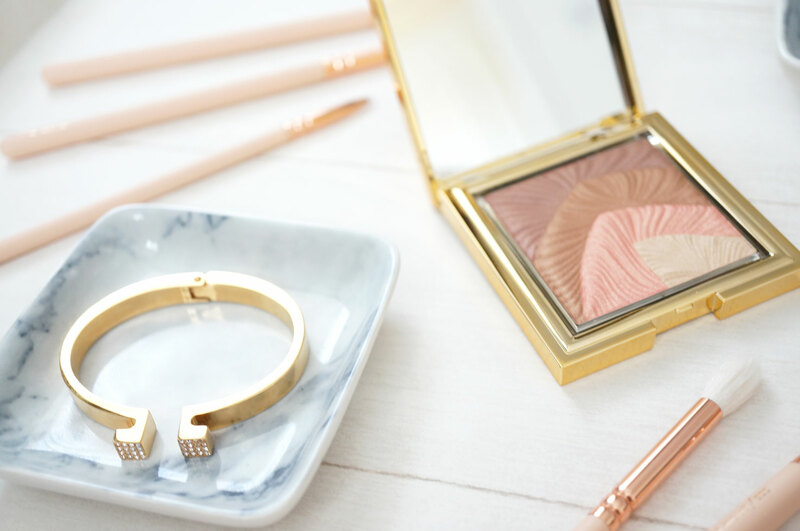 As soon as I heard about BD Trade Secrets’ latest launch – the stunning Dream Shimmer Highlighter compact in Radiant Bronze, I knew I had to get my hands on it! 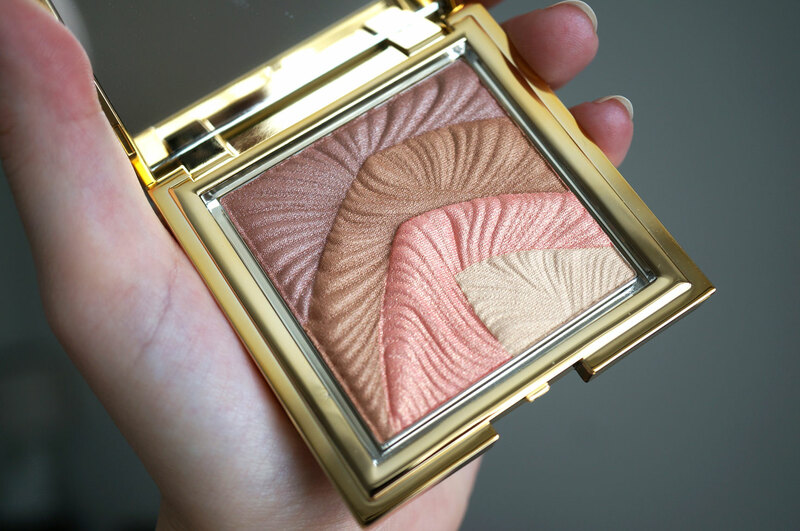 This gorgeous gold compact is just so pretty, as well as containing some beautiful shades that are perfect for summer! BD Trade Secrets, in case you haven’t heard of them, are Tesco’s own makeup brand – formerly known as Barbara Daly. So you may be interested to hear that this compact is in fact only £7.99, what a complete bargain! It’s so beautiful and high end looking the price is actually pretty hard to believe! The Dream Shimmer Highlighter is a gorgeous palette comprising of four shades of soft shimmery powder. They have a stunning textured shell-like finish in the compact that makes it that bit more special. The shades can be used individually or swirled together with a large brush to give shimmer and highlight to eyes, cheeks and body, and anywhere you like really! 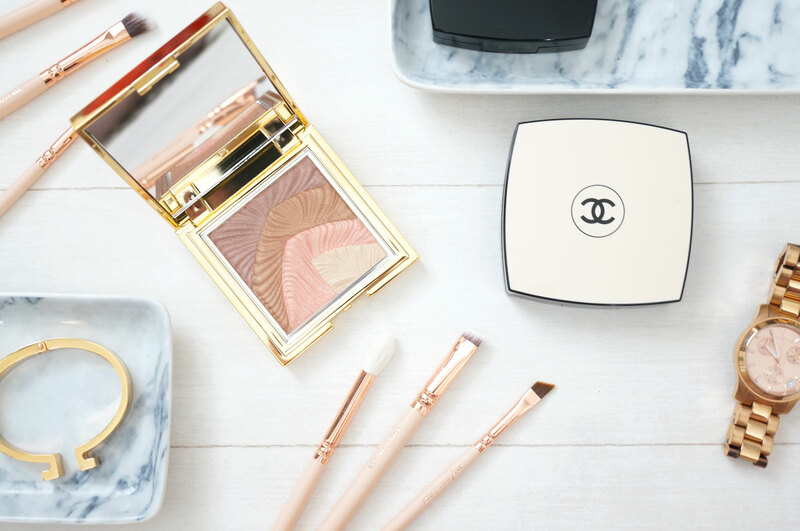 The powders are housed in a glamorous high shine gold compact, complete with an internal mirror for use on the go. 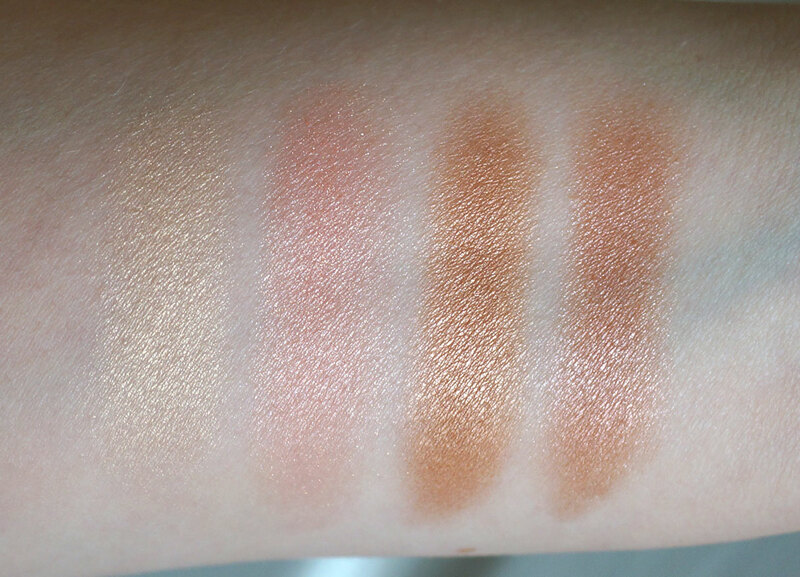 The four shades are described as a soft shell, pastel pink, golden bronze and chocolate plum. As well as perfect for highlighting, these shades would also double up as lovely eyeshadows too – you can’t beat a multi use product! I’ve just applied these shades mixed together as Abby advised above, and I’m literally glowing all over! This really is a fantastic compact as well as being beautiful to look at! The Dream Shimmer Highlighter will be available from mid-July at Tesco in store and online. Next Post Kiko Cosmetics Haul! Awesome post Hun! I recently discovered BD trade secrets & am loving it so far!! This highlighter looks so pretty! I recently did a first impressions post over on my blog if you’d like to check it out! Beautiful pics and the product is just stunning. I think I need to get to Tesco more it’s a stunning product but bit dark in shades – for my own pale self it would probably do as a blush instead !! What a glow !! It looks great but I don’t really know how to use highlighter on my face! The second swatch on the left is def my personal favorite. Great post!